Does your lawn turn into a swampy mess every time it rains hard? If so, pursue one of these yard drainage solutions, not only to allay your aesthetic concerns, but also because standing water can pose serious problems. Please help. My yard stays wet when it rains. I live in a subdivision with flat terrain. Is there a solution that does not cost a lot of money? You have a few options, but none of them are cheap. First, I would invite a full-service landscaping company to examine your property, diagnose the problem, and submit an estimate. Even if you opt not to hire the company, the consultation would help you to understand the cause (and potential consequences) of the problem. Knowing only the basics of your situation, I can offer some general info on yard drainage solutions, but you really should talk to a pro in your area. Poor yard drainage isn’t only an aesthetic issue. For one thing, standing water seriously jeopardizes the health of your lawn and landscape plantings. Another frustration: When your property is a swamp, you simply cannot enjoy it. Meanwhile, standing water can actually be a health hazard, as it gives rise to mosquitoes and other pests. Not to mention, excess storm water may ultimately find its way into your basement, where it creates a host of other costly-to-fix issues. Usually, there’s a solution to yard drainage problems. Topography is the key thing to consider. A well-draining property slopes gently and gradually away from the house, descending six inches over the initial ten feet surrounding the foundation (with another foot of slope over the next 100 feet). If that’s not true in your case—if, say, your property actually sits below that of the neighbors’ and the street—re-grading the terrain is the logical step, but it’s not a do-it-yourself job. 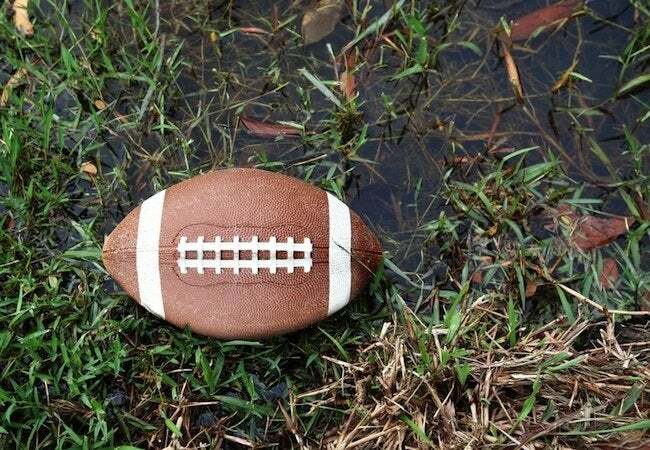 After an abnormally heavy rainfall, any yard can be expected to be a bit swampy, but if yours consistently hosts standing water, then you’re right to pursue yard drainage solutions. Each of these are designed to divert excess water from where it poses a problem to an area where it can more freely seep into the soil. Curtain Drain. This won’t work if your property has a lower elevation than all of the land surrounding it, but if the street or an adjacent woodland are below the grade of your flooded yard, you’re in luck. 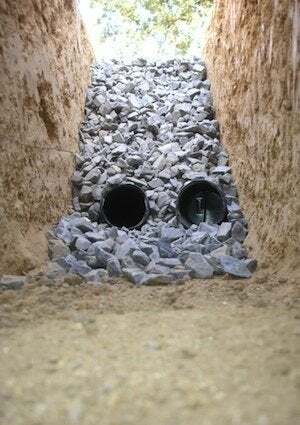 You can set a perforated pipe into the ground, running from the problem area to the safe zone. The pipe draws in water through its holes and by the power of gravity, carries water away from your home. Drywell. If there’s nowhere it would make sense to drain the storm water, your best bet might be to install a dry well. Basically, a dry well is a holding tank for excess runoff. The container fills during a storm, then in the hours and days afterward, it drains into the soil beneath and next to the well adjacent. One advantage is that a gravel-filled dry well may be covered over with soil and grass. Sump Pump. If you’re willing to throw money at the problem, go for a sump pump (like that used to keep a wet basement dry). A sump pump corrals excess runoff and pumps it away. That means it can deposit the water somewhere that’s uphill from your property. The catch? A sump pump isn’t cheap: There are not only installation costs to weigh, but also the ongoing costs of running the machine. As mentioned, a full-service landscaping company would have a great deal of experience handling situations such as the one you’ve described. But it’s important to note that if you believe municipal engineers are in any way responsible for the issue you’re facing, then your local government may be willing—or legally obligated—to solve it. Talk to your neighbors. If they too are experiencing drainage problems, approach city hall as a group to maximize chances of your voice being heard.